Why Should Vermonters Install Permeable Paver Driveways? 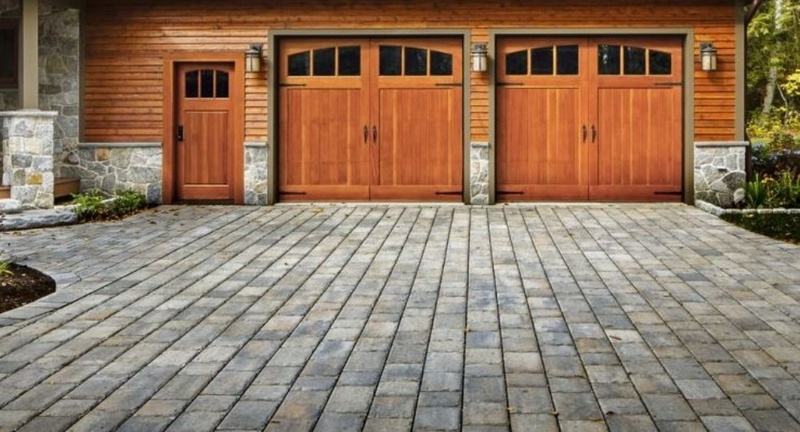 Even though driveways are part of our daily lives and are integral aspects of residential properties, most people don’t stop to really consider them. But, as with all other aspects of construction and property development, driveways can have a large impact on the environment in Vermont—the big question is, will that impact be positive or negative? It all starts with rain. Unfortunately, traditional driveways often allow polluted runoff to drain quickly from the property, right into the street. When it falls on paved, impermeable surfaces, rainwater picks up oil, de-icing salts, fertilizer, gasoline residue, and other pollutants as it makes its way down the driveway and into the street. This polluted runoff then stays in our streets, creating hazards for cyclists, clogging stormwater infrastructure and contaminating our state’s lakes. In fact, according to Burlington Public Works, Vermont has over a dozen stormwater impaired watersheds, all of which ultimately drain into Lake Champlain. Another problem with traditional driveways is that property owners pay over and over again to replace their lost driveway material as it slowly erodes away, especially with sloped gravel or dirt driveways. One solution to helping homeowners reduce their individual contributions to Vermont’s stormwater runoff challenges is to install a stormwater-friendly driveway with permeable pavers. 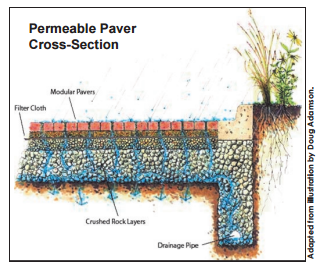 Permeable pavers are interlocking blocks of stone or concrete that incorporate spaces between to allow filtration, or are installed with larger spaces for clean washed stone or grass. One of the biggest appeals of permeable pavers for homeowners is the wide variety of colors and styles available. Using permeable pavers adds great aesthetic value to a property, offering many of the same looks as a brick driveway but with infinitely better water quality benefits. In order to minimize costs, one attractive option is a ribbon driveway. A ribbon or “Hollywood” driveway incorporates pavers on the sides with a strip of vegetation in the middle. Installing a permeable paver driveway could also increase the amount of changes you can make to your property. Zoning restrictions and open space requirements, as well as initiatives such as the Shoreland Protection Act, can sometimes limit what homeowners are allowed to build on their property. 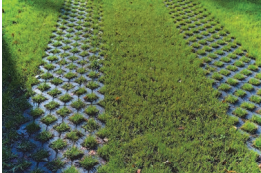 But choosing a permeable driveway can reduce the amount of coverage calculated for zoning permit purposes and may allow you to construct additional structures elsewhere on your lot. In order for all of us to continue enjoying all that Vermont has to offer, we need to make more conscious choices. Choosing a permeable paver driveway is an easy way to add value to your home while benefiting the environment. To learn more about the permeable paver options that are available in Vermont, contact Trowel Trades Supply today.